A stunning circular chrome finished base gives a contemporary feel to this impressively striking design. 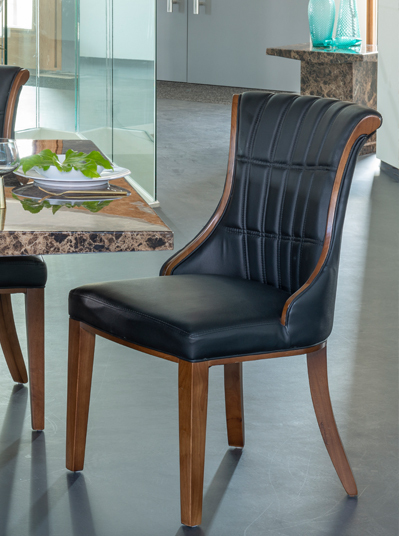 An adjustable recline and 360 swivel add to the comfort of the chairs generous filling and sumptuous faux leather. Choose from black brown cream taupe and red to enable the introduction of this modern place to sit in to virtually any living space.